Abu Jandal in THE OATH, a film by Laura Poitras. A Zeitgeist Films release. Washington likes its politics, and it likes drama even more. So it makes sense that there would be buzz in the District around a new political documentary from director Laura Poitras. Poitras' "The Oath" is about two men whose fateful meeting propels them on a journey, spinning Al-Qaeda, Guantanamo Bay, 9/11 and the U.S. Supreme Court into the mix. "The Oath" explores and contextualizes a world that has often confounded Western media. 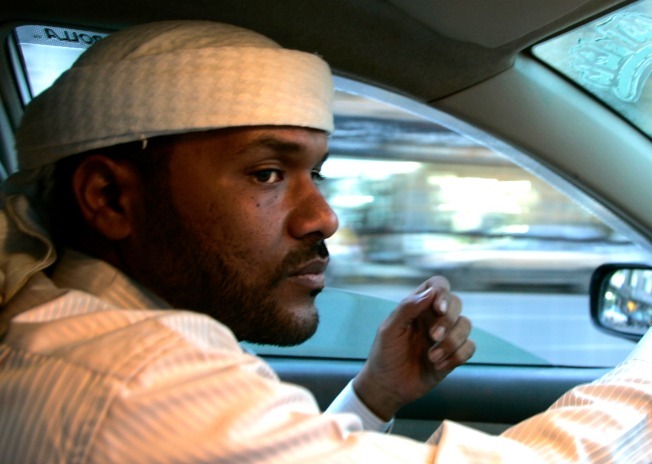 The award-winning documentary -- centered around Osama bin Laden’s bodyguard-turned-taxi-driver, Abu Jandal, and his brother-in-law who was bin Laden's driver, Salim Hamdan, one of Guantanamo’s most famous prisoners -- will be showing at the Landmark E Street Cinema (555 11th St. N.W.) through July 15 (find showtimes here). Poitras also is the director of the Oscar-nominated "My Country, My Country."